Come and relax physically and mentally at IZAKAYA Dining Umincho! IZAKAYA is a well-known place to get together for business men and women, college students, family members, couples and friends. 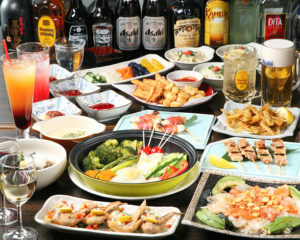 IZAKAYA is a dining restaurant providing Japanese small-sized food that goes well with drinks. Recently, IZAKAYA in Japan is providing not only typical Japanese food and drinks. 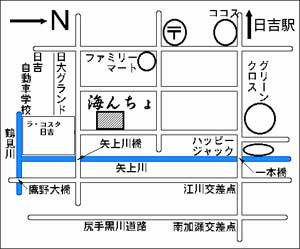 We do so many kinds of wine, cooktail, shochu, beer, umeshu, and non-Japanese cuisine. Also, IZAKAYA specially offer local cuisines, giving you good oppotunities to try local specialities and regional food at reasonable price. We often come and get together at IZAKAYA dining restaurant to enjoy chatting not only having food and drink. IZAKAYA dining is a place that we can relax and refresh physically and mentally. Why don’ you come and relax at Japanese IZAKAYA Dining Restaurant?